Talking of that, when thunder starts, you stop hearing the rain (even if it continues pouring). Hey did you fix that ? I see that too and I was wondering what's up. Can I make it stop doing that in my game or it's something that needs to be fixed ? 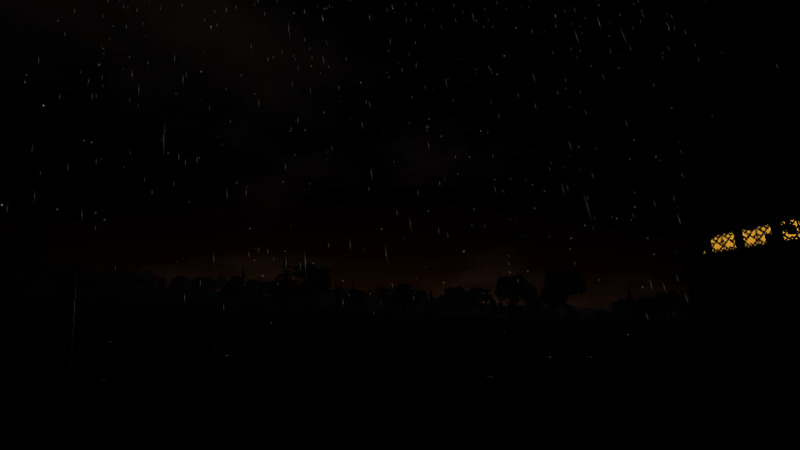 the Thunder happens and the rain just Fades out, I thought it might have something to do with the music streaming stuff they put in a couple weeks ago, how it streams the song in so the game doesn't bump, it sounds like that, the rain and thunder fade. I added songs streaming, but it should have no impact on sound effects, it's just a different way to play songs. It's all too pretty for you . You probably resent the guy who made sprites from 3D models in the middle of development. Damn him for not drawing every frame in low resolution. I actually want to see that stuff LOL. Do I see a Challenger for my self-imposed Supremacy ?